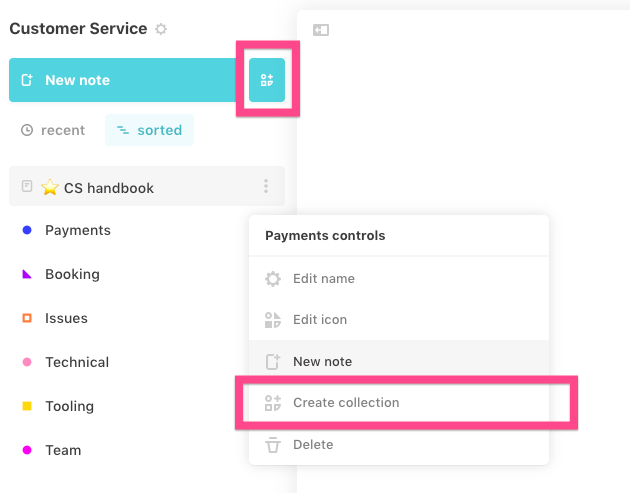 You can create a collection through the button at the right of the new button note. You can add sub-collection when clicking on the settings of a collection. Just hover the right of it. You can drag and drop your collections to reorder them. You can also drag and drop a collection to move it inside another collection.